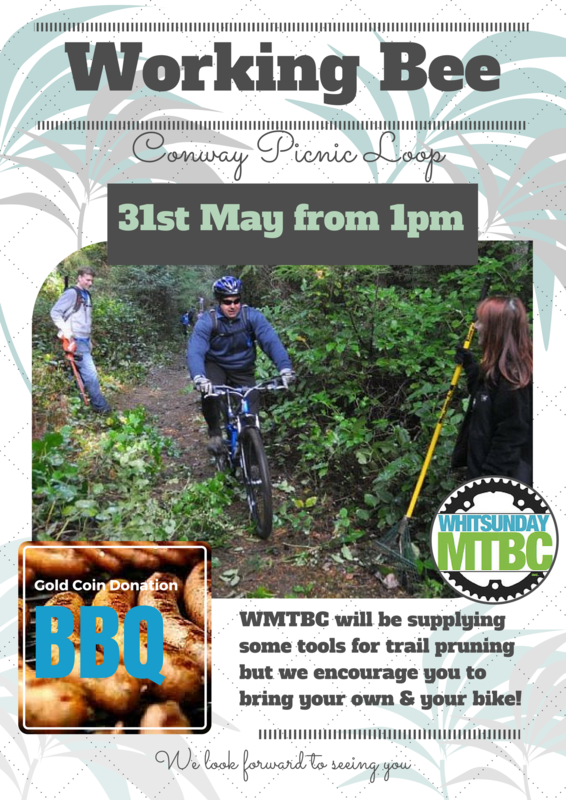 Come along on Sunday to our FIRST EVER WMTBC WORKING BEE! All ages, all abilities – everyone is welcome! We will be tidying up the tracks including raking and pruning as well as discussing possible facility upgrades like skills areas! We will have a Gold Coin BBQ, club canteen offering chocolate bars and soft-drinks for sale as well as some short and fun events set up! Come have a go at the obstacle course and the slow-race! We have some awesome prizes up for grabs!! The Club will supply all the training you require as well as some tools for pruning but we encourage you to bring your own too. Don’t forget your bike or your family – this is an all-ages inclusive event, we want to see EVERYONE Join us!! We are still looking for someone to ‘Adopt this Trail’ – come find out what this means and what the opportunities are! Posted on May 21, 2015, in Uncategorized. Bookmark the permalink. Comments Off on WORKING BEE Sunday May 31st 1pm.